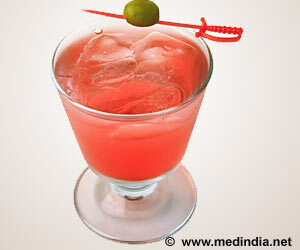 Check out these simple and easy cocktail recipes for monsoon season's perfect night party. Angad Singh Gandhi, India Brand Ambassador of Glenfiddich, lists some cocktail recipes for the perfect night party. * Method: Add the ingredients in a mixing glass, hard shake and strain to whisky glass, ice cubes and garnish with lavender flowers. * Method: In an old-fashioned glass measure the above ingredients and stir vigorously to mix well. Fill the glass with ice and stir again. Take an orange wedge, squeeze and drop. Diageo Reserve Brand Ambassador, Jamie Walker shares his personal favorite cocktails to spread the Christmas cheer and compliment the feasting this festive season. Manhattan restaurants have come up with a healthier way of drinking alcohol by creating veggie cocktails made out of cucumber, carrots, kale and even peas. Whooping dose of caffeine and other additives in energy drinks may be harmful to the health, warns expert. Comfort foods can be based on habits or the unfamiliar; convenience or exploration. Healthy makeover for comfort food helps to de-stress and to celebrate joy.